Ploske, October 3 (TASR) – The chairman of the Smer-SD party, its other officials and the prime minister have no specific information from the investigation file related to the murders of journalist Jan Kuciak and his fiancée Martina Kusnirova, Prime Minister Peter Pellegrini (Smer-SD) said after Wednesday’s away-from-home Cabinet session held in the village of Ploske (Kosice region). 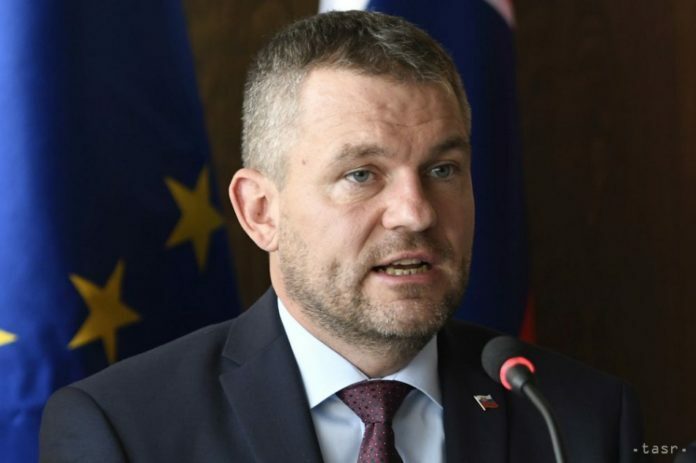 The premier said this in response to Smer-SD’s statement, in which its chairman Robert Fico said that the results of the investigation into the murders of the journalist and his fiancée have dispelled the claim that the Italian Mafia, with connections to the Slovak Government Office, was behind the crime. Fico didn’t say where he obtained the information that the Italian lead had been excluded in the investigation. „We don’t have means to obtain the information, nor we can gain it, nor do we have a position to be aware of what is written in the file,“ said Pellegrini. According to the premier, Fico only pointed out that nobody, including the media, is working with the idea that it was Mafia with ties to the Government Office. „Don’t get the idea that this is some information from the investigation files; it’s just a statement in which the party strongly rejected any connection at this stage with a crime of murder because Smer-SD and the Government Office have nothing to do with it,“ added Pellegrini. Jan Kuciak was an investigative journalist working for news website Aktuality.sk. He and his fiancée were murdered in their house in Velka Maca (Trnava region) on February 21, 2018 with gunshots from a 9 mm pistol. The hiring party paid at least €70,000 for his murder.